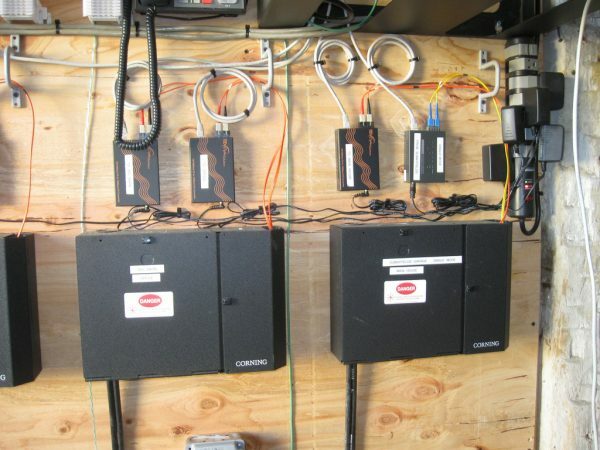 Why install Fiber Optics on your property or in your business? There are numerous reasons for deploying fiber optics. Distance is a major concern. Standard copper cabling can only be ran a 100 meters (328 feet) for data or CATV applications. Fiber optics can be deployed at much greater distances, 550 meters (1804 feet) for multi-mode and 5 kilo meters (16,404 feet or 3.1 miles) for single-mode. Fiber optics provides much high bandwidth that standard category 5, 5e or 6. Lighting damage is another concern. Since fiber optics does not use any conductive components there is no danger of lighting damage. This protects valuable electronic components. 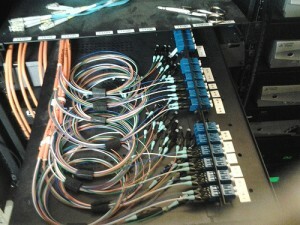 Superior Telephone System specializes in installing and maintaining fiber optics networks for over 15 years. We have certified technicians on staff that know how to deploy a seamless fiber optic network which will meet your needs today and far into the future. 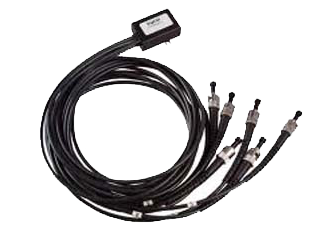 Corning is one of our primary suppliers for fiber optics equipment. We will install all the media converters and switches for a truly plug and play installation. Corning Optical Fiber offers a full portfolio of fiber products to meet the demands of different network applications, spanning from the desktop to the ocean. Everywhere you look, you’ll find our fiber solutions at work.